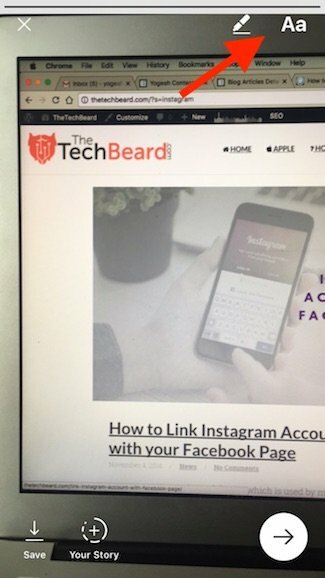 Instagram the famous instant photo-sharing app owned by Facebook has again challenged its rival Snapchat with two new features Live video and disappearing photos/videos. 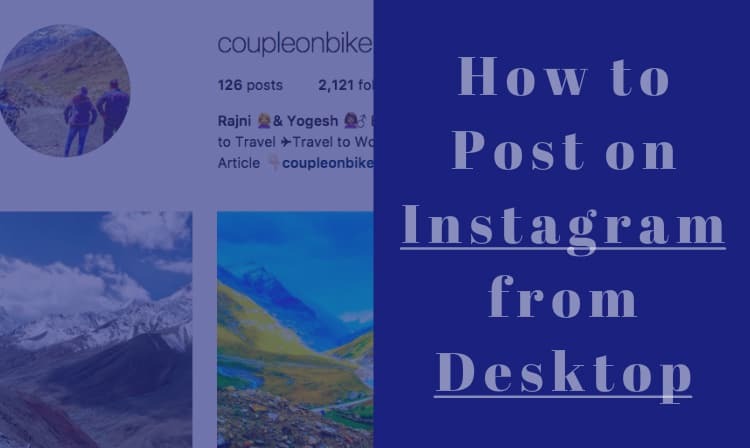 Both of them can be proved highly useful to enhance the usability of Instagram application. Now you can broadcast Live videos on Instagram and send ephemeral images and videos to an individual friend or the entire group in Instagram Direct. These pictures and videos will disappear from the inbox of the recipients, once they view them. However, your friends can take a screenshot of such photos and even reply back to you once. In order to launch the camera either tap the camera icon which is located on the top left or swipe towards the right from the Instagram feed. Take the photo or capture a video by tapping the circle at the bottom of the screen. 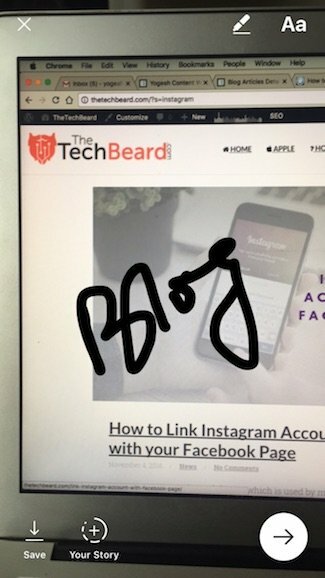 You can tap on the pen icon to draw something or font icon to add text and make photo more effective. Once you are done with the image/video, tap the arrow icon at the bottom right. Choose a person or create a New Group from the top right hand corner and tap Send. You can create a group quickly in few taps, and send it to multiple friends at a time. If your friend takes a screenshot or reply to the message, then you will come to know about it. Though, after your friend replays back to you, the status of the disappearing message will not be available. 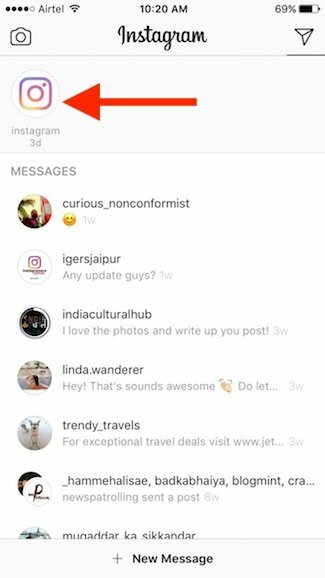 There would be a separate message bar in your Instagram Direct inbox above the permanent messages. 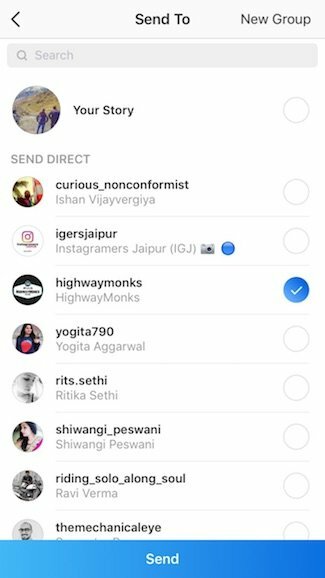 Once you receive an ephemeral video/image from any of your friend then open inbox by tapping on the paper airplane icon which is located on the top right corner of your Instagram feed and swipe towards the left. The image/video will appear at the top bar with a blue ring so you can tap on it and see what has been sent by a friend to you. In order to replay back an ephemeral video or image that you receive, you need to press and hold the message and tap Play Again. Since the images and videos are not going to be saved in your friend’s inbox, you can share them in a relaxed way. It is good for those who receive messages as well because if their phone has the low storage capacity. The new disappearing photos/videos feature has already been rolled out to all Instagram Direct users, but the Live video on Instagram Stories will be available after a few weeks. 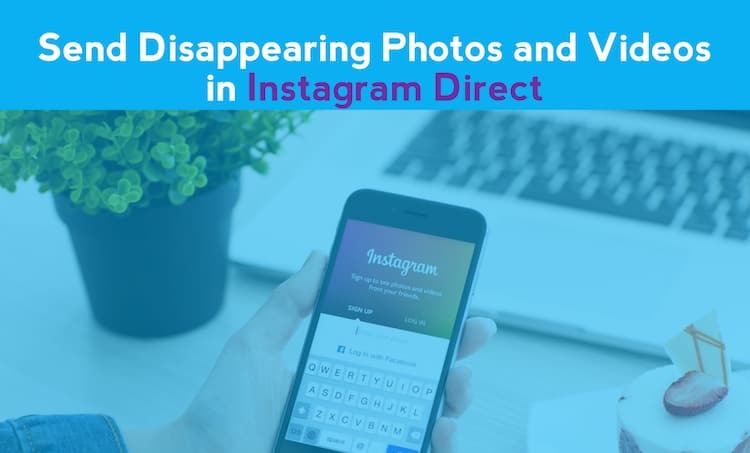 Instagram Direct has been underestimated by many people in the early days, now its gaining popularity quickly. 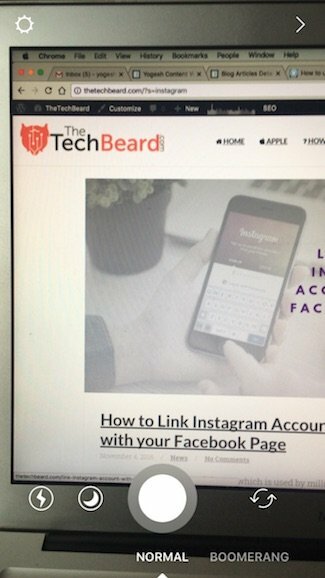 According to Instagram around 300 million users monthly take advantage of this service to send photos, videos, profiles, locations, posts etc. as a message to their friends. How do you delete the ephemeral messages so the persons pic is not available at the top of the inbox?